Day 1: Arrival in Hanoi – You are welcomed in Hanoi and driven to your hotel in the city. Drop off your luggage and freshen up a bit and follow the guide (optional) on a short orientation walk around the old quarter and Hoan Kiem Lake. Day 2: Hanoi original city tour (B/L) – Temple of Literature, a little architectural gem, first university of Vietnam and temple devoted to Confucius. 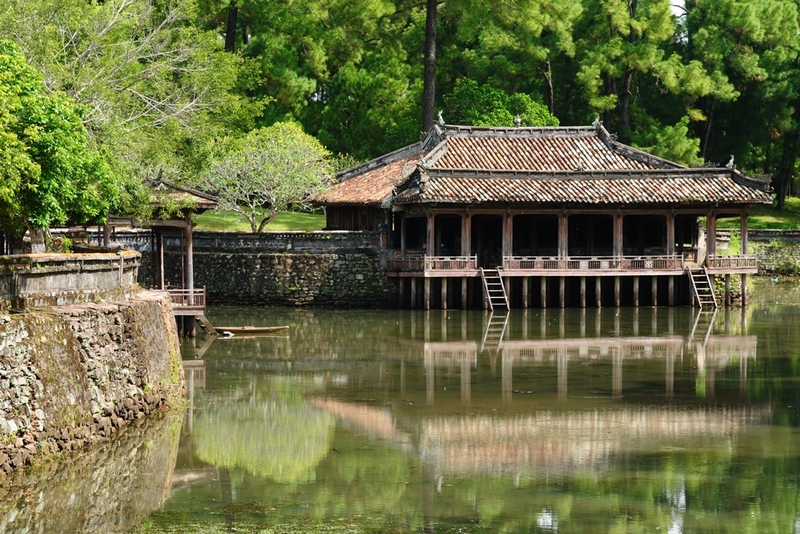 Visit Ho Chi Minh complex and visit the gardens of the Presidential palace, the one-pillar pagoda and the house on stilts where Ho Chi Minh lives his the last days of his life. Day 3: Hanoi – Mai Chau – Mai Hich (B/L/D) – We head west to the valley of Mai Chau. It takes about 4 hours including a refreshments and legs stretching break on the way. Mai Chau is a circus surrounded by high limestone mountains and filled with rice fields, where you can see the whole valley dotted with hamlets of wooden houses on stilts. Day 4: Mai Hich – Pu Luong (B/L/D) – After breakfast we hit the road towards Laos’ border. We quickly enter Pu Luong nature reserve and cross it from West to East. If you like, there are opportunities to hike from 1h up to 6h. Once at the edge of the reserve, we do the last 5km either walking (about 1.5h) or riding pillion at the back of moto-taxis. Day 5: Pu Luong – Ninh Binh (B/L) – After breakfast, we walk back or ride back the 5km to our vehicle. This afternoon, we reach a hidden corner of the region and start a nice scenic rowed sampan cruise, we are in a sub-valley of Tam Coc, the most renowned valley of the region for it towering limestone rocks and beautiful rice fields. We visit the Bich Dong pagoda that offers a climb to admire breath taking views. Day 6: Ninh Binh – Halong bay (B/L/D) – We drive across the Red River delta and reach the coast little before noon. We embark on a beautifully crafted wooden junk for an overnight cruise in the legendary seascape of Halong. In the afternoon is for relaxation. Day 7: Halong – Hanoi – Hue (Brunch) – While cruising back to the pier, a brunch is served as we are getting closer to disembarkation. Early Tai Chi session is proposed, coffee and tea are served early as well for the early birds wishing to see the beautiful lights of sunrise. We have the chance to visit a grotto before starting our way back to the coast. 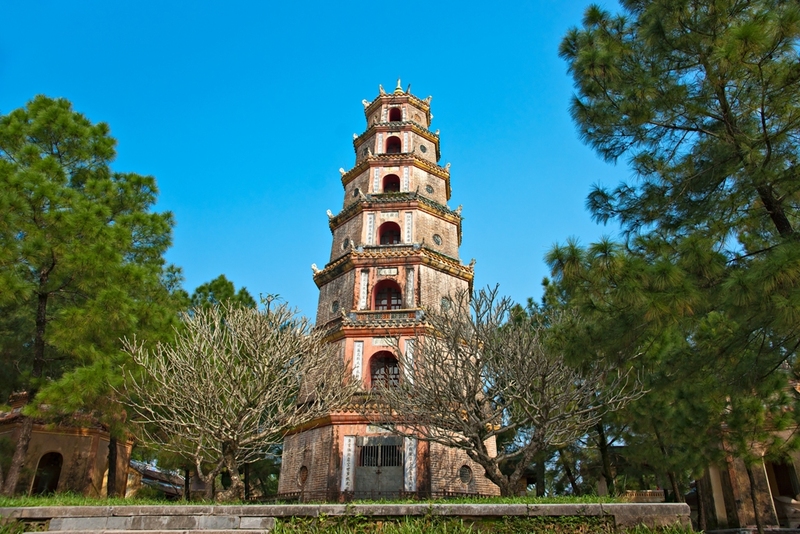 Day 8: Hue – Phu Thuan beach (B/L) – We visit the beautiful Tu Hieu pagoda and the Emperor Tu Duc’s tomb. We discover there some centuries-old houses set in beautiful orchard-gardens. We meet the Mandarins’ descendants and have lunch at one local house. In the afternoon, we visit the citadel and discover a slice of Vietnam’s feudality before we drive about 15 kilometres to a beautiful desert beach. Day 9: Phu Thuan – Bach Ma – Hoi An (B/L) – About 10am we make our way along a coastal road lying between the sand dunes and the Tam Giang Lagoon. We reach the majestuous Bach Ma national park and take a 19-km scenic drive to its top. 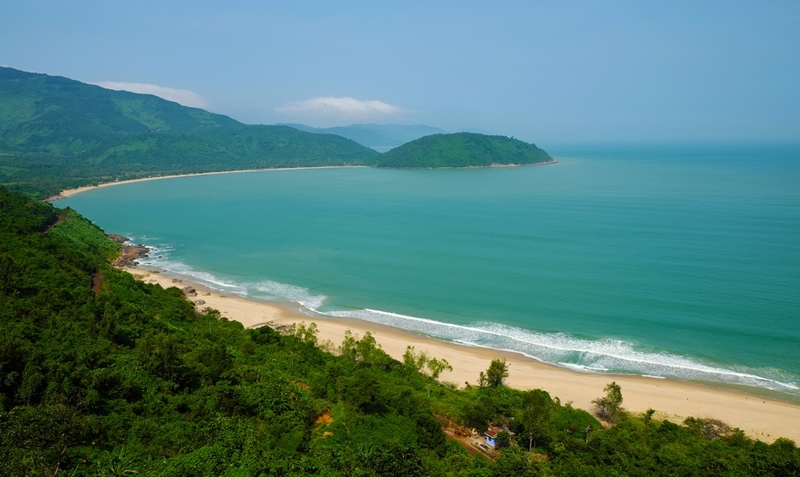 We pass the Lang Co bay and then we head down to Danang and Hoi An. 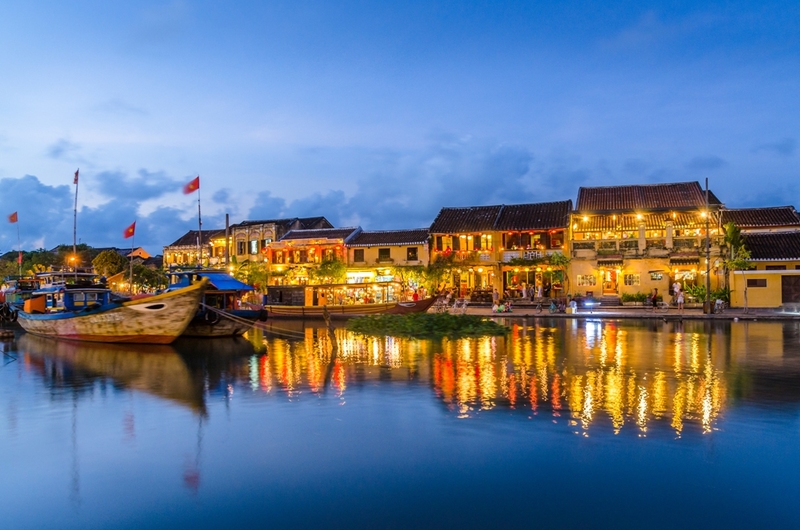 Day 10: Hoi An, half day of exploration (B/L) – . We drive straight to Cam Thanh mangrove, hop on kayaks or Stand-Up paddles and journey along arroyos made of freshwater coconut bushes. 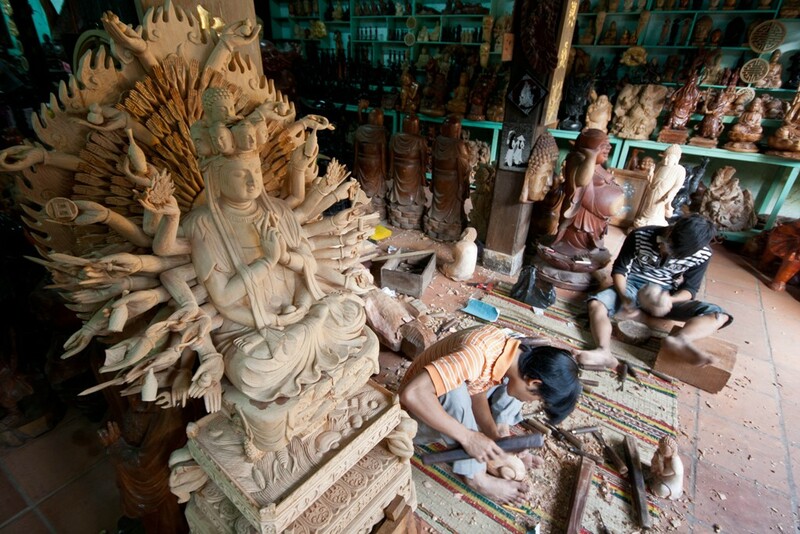 We set foot on land again and visit the workshop of probably the most skillful bamboo craftman of the entire region. We borrow some of his bamboo bicycles and go for a ride. Day 11: Hoi An, at leisure (B) – Day at leisure. Day 12: Hoi An – Saigon – Mekong Delta (B/L/D) – Early departure to catch the first flight to Saigon. We are picked up at the airport and driven straight to the doorstep of the Mekong delta. We stop for a while at a little pier that only few know about and that gives access to a less travelled area. We will embark on a boat on the mighty River – late afternoon we are boat-transferred to our lodge. Day 13: Cai Be – Saigon (B/L/) – In the morning, we get on boat to go see the reminiscences of Cai Be floating market. This is not as big and busy as in the past but we should still have chances to see the barges loaded with fruits and vegetables of the delta. We then start our way back to Saigon. End of the day at leisure. Day 14: Saigon, departure (B) – In the morning, we will take a global sightseeing tour around the different districts on the back of vintage Vespa scooters. A chance to soak up the different atmospheres of Saigon in a glimpse of time. Then we visit the museum of traditional medicine FITO and take you back to the hotel.